All drug abuse is harmful in one way or another. 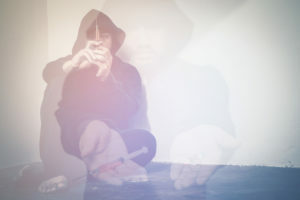 Drug use – especially heroin use – in America is widespread and some say it is an outright epidemic, including in New England. These new chemical mixes, shoddy manufacturing, and impure cutting agents all add to these already dangerous and addictive substances. Now, heroin users may be in for the surprise of their lives. In the past year, there have been hundreds of overdose cases, some even fatal, due to Carfentanil – laced heroin. There are numerous bulletins and warnings out there on the danger of this drug by medical organizations, drug abuse centers, the government, and law enforcement, all in hope of saving lives that are already in danger. Drug abuse is a huge problem in our country. Now with this new threat, which is in a category of its own, law enforcement and the medical field are still trying to figure out all the dangers, treatments, and how to stop it. One way of doing that is through education. Though we may not be able to stop people from using heroin or force them into getting treatment, we can and should at least warn addicts of the dangers that are out there. Carfentanil is a synthetic opioid drug used to tranquilize large animals like elephants. It was synthesized in the 1970s to be used as anesthetic for these huge beasts. In the Los Angeles Times, Dr. Rob Hilsenroth, Executive Director of American Association Zoo Veterinarians,said that when it is being used by veterinarians they have to wear a suit that is similar to a hazmat as one drop splashed into the eyes or nose of a human could be fatal. It is easily inhaled or absorbed into the skin. In fact it has been allegedly used by the Russian military as a chemical weapon. It is 50 times stronger than pure heroin. Carfentanil-laced heroin is a prominent danger. It is sold in both the US and Canada. And in just a short amount of time, several overdoses have occurred. A government website reports that this synthetic drug is 10,000 more potent than morphine and has resulted in many deaths nationwide. It is more powerful than fentanyl (the painkiller linked to the death of singer Prince). As little as one grain, 20 micrograms can be fatal. 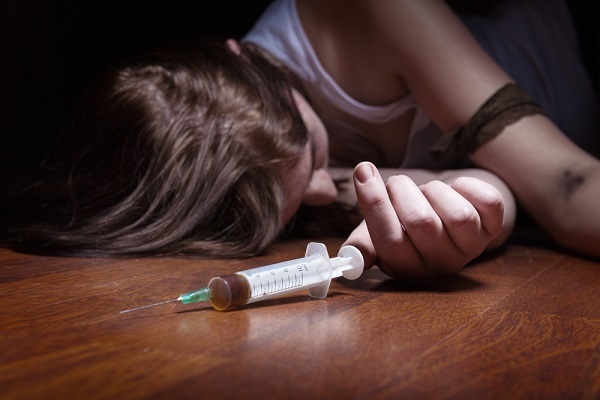 Heroin itself is a dangerous drug with high incidents of overdose. Adding Carfentanil only multiplies the problem. 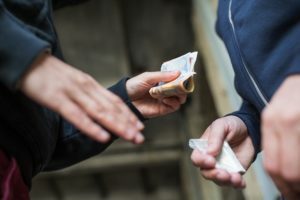 Many drug dealers are experimenting with Carfentanil-laced heroin and not telling buyers/users the dangers or that there is anything different about the heroin. Because it is still something new to the US, their intent was to see how it works, what the effects are. This is so they can better calculate their mix to get optimum sales. Dealers and manufacturers don’t mind killing a few users, that’s for sure. Their strategy is that the extreme high for those who live will make them come back for more. Using heroin today is essentially like playing Russian roulette. In July alone,Akron, Ohio reported 230 overdoses with 20 deaths. Up until the introduction of Carfentanil – laced heroin, fentanyl was the worse. However, Carfentanil is 100 times more potent than fentanyl. This deadly combination is the most potent on the market. Carfentanil is marketed under the name under the name Wildnil. It is primarily made in and sold from China and smuggled into the US. Dealers purchase the drug on the Dark Web and then use it to cut heroin. This Carfentanil-laced heroin is then sold on the streets. You can even find recipes on some of these websites. Even the Dark Web dealers are putting warnings on their products about the potency and the dangers of the drug. With the Internet, so many things are available, including illegal drugs. A quick Google search revealed dozens of places to order Carfentanil from China. Law enforcement as well as government agencies have been working with China to stop the flow out of their country. However, it doesn’t seem to be working. The symptoms of Carfentanil overdose include but are not limited to: pin-point pupils, dizziness, nausea and vomiting, respiratory depression or failure (shallow breathing or no breathing), clammy skin, weak pulse, loss of consciousness, dizziness, depressed mental status, lethargy, sedation, cardiovascular collapse, and death. Warnings from the DEA say you should seek medical attention right away for any of these symptoms. These symptoms of overdose can happen within minutes of use. These are in addition to the usual heroin effects of: stomach issues, constipation, nausea and vomiting, euphoria, lethargy, heart rate and blood pressure changes, nodding off, confusion, drowsiness, and unconsciousness. If one overdoses Carfentanil, an antidote has to be administered several times, and sometimes that doesn’t even work. This is only one of the reasons why it is a dangerous drug. Synthesized for elephants, this drug carries a high overdose risk. An average adult man weighs around 195 lbs where an adult elephant weighs between 5,000 and 14,000 lbs, that’s about 26-72 times the weight of a human. Even with animals veterinarians have to carefully monitor for overdoes. In August of 2016 in Cincinnati, Ohio there were over 170 overdoses in a six day period. Where normal heroin usage is prone to overdose (four cases a day in Cincinnati) the addition of Carfentanil has made that number explode. Pennsylvania, Kentucky, Ohio, and Indiana reported the most cases. In 2017 it has become more widespread, with five overdoses in Minneapolis and several deaths in New England. Canada has also been fighting this drug invasion. Opioid addiction is super strong. The best we can hope for is to educate addicts about the dangers of what is out there and provide support when they need it. Every life saved is worth it.